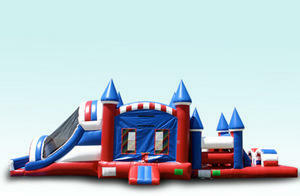 Here is our American Castle combo Obstacle Course. This item puts the wow in wow factor. Full obstacle course with bounce house and dry slide connected.